"Interim committee" - A committee established by law or resolution to study issues, prepare reports, etc., between legislative sessions. Currently, the Capitol is equipped to stream committee meetings from all of the standing committee rooms. Certain special events may be streamed from locations inside and outside the Capital. 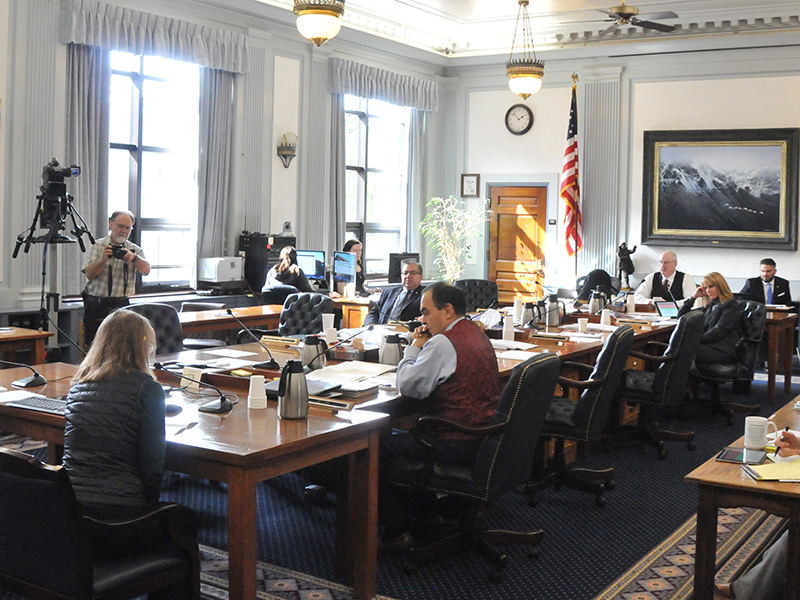 This service exists to provide Alaskans with live access to every committee meeting in the State Capital. Floor Session streams are available through Gavel Alaska. For Archived Meetings, visit the Committees tab or visit Gavel Alaska's Archive. Meetings streamed outside of Juneau are archived to our Vimeo site.